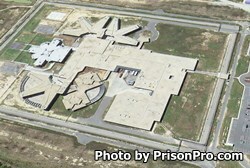 Bertie Correctional Institution is located in Windsor North Carolina. It is a close custody facility that houses 1,400 adult male offenders. Close custody is one step above medium security and is more restrictive, as inmates at this facility have committed very serious crimes, pose an escape risk or have shown a behavioral pattern of not following the rules. Bertie Correctional Institution is a relatively new facility and was opened in 2006. Bertie Correctional Institution is comprised of four units including a segregation unit, which can house up to 142 offenders. Inmates are assigned a unit based on their programming, security needs, and work assignment. Green unit is where general population inmates are housed who are currently participating in jobs or programs at the prison. Blue unit houses general population inmates who have medical issues. Red unit houses segregation inmates and general population inmates, and Gray unit houses inmates who require maximum control procedures, as they are a high risk to the staff and other inmates. All visits are by appointment only. You can schedule an appointment to visit by calling (252)-794-8630 and asking for the visitation officer. Appointments must be made at least 24 hours in advance. Visiting for inmates in general population occur on Tuesdays, Wednesdays, Thursdays, Fridays and Saturdays in two sessions; a morning session from 9am-11am and an afternoon session from 1:30pm-3:30pm. Non-contact visits occur Tuesday through Friday from 9am-10am and 1:30pm-2:30pm.